Soccer player or not, it&apos;s tough not to love the Samba. The indoor soccer shoe has maintained its cool factor after first being introduced way back in 1950. 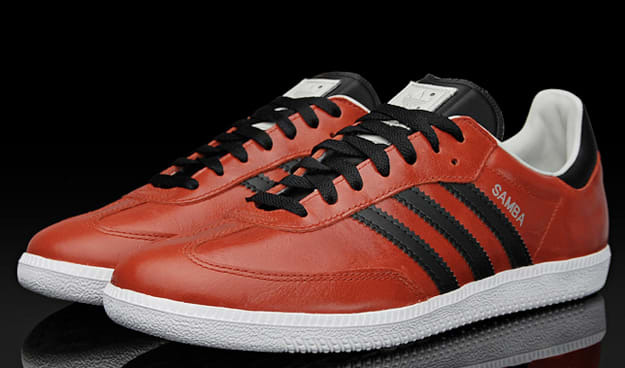 Luckily for us, adidas continues to crank out new colorways like this sharp red/black colorway. They&apos;re going to be tough to find in the U.S (what up True Blue IIIs) but legit European retailer CaliRoots has them now for $109 USD. Kick.Game.Proper.